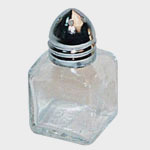 Mini Salt and Pepper Shakers (glass) Dozens only!! 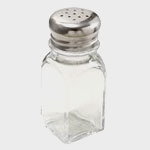 G-105 Salt and Pepper Shakers (glass) Dozen Qty. only! 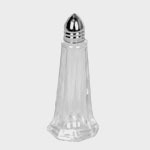 G-109 Square Salt & Pepper Shakers (glass) Dozens only! !